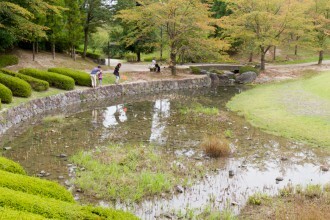 The Hiroba is a large open space in the shape of a rice terrace. It includes a large Lawn Area where visitors can play freely and Kid’s Playground with a variety of equipment that attracts many visitors. Hiroba (Open Space) is especially renowned for its 300 cherry trees which will be in bloom all over the place in spring. 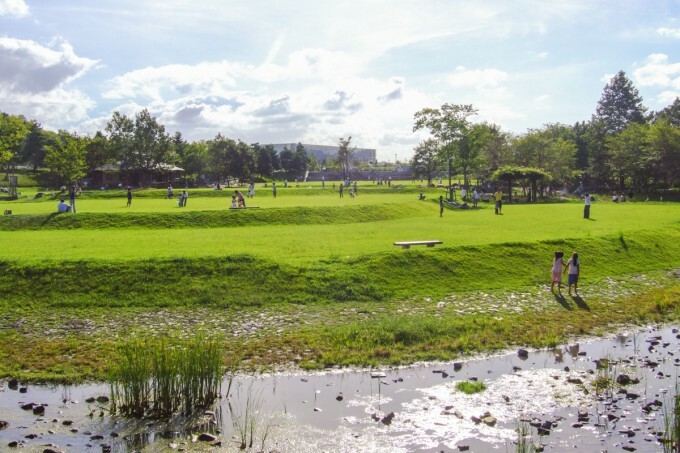 Hiroba (Open Space) is designed representing a rice terrace. Four large lawn areas are connected in tiers. Visitors can enjoy a picnic (or premade lunch boxes), reading books under a tree or just running around. 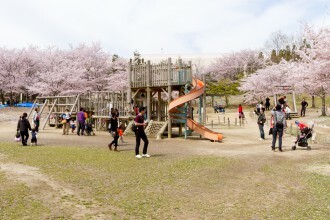 It features a variety of playground equipments, such as a swing rope, swings, spring toy, and a jungle gym. Azumaya is a rest house (arbor) resembling a private house in a village. It provides the perfect shelter from the sudden rain or heat. 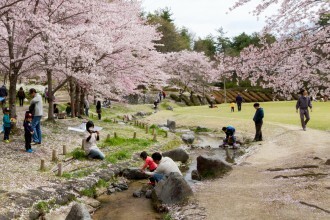 Visitors can enjoy playing in water such as catching killifish and crayfish or floating a bamboo-leaf boat in the small stream running along the skirts of the mountain. Splash Pond is very shallow so that small children can play safely. In summer, the pond offers the perfect place for children to play in water. 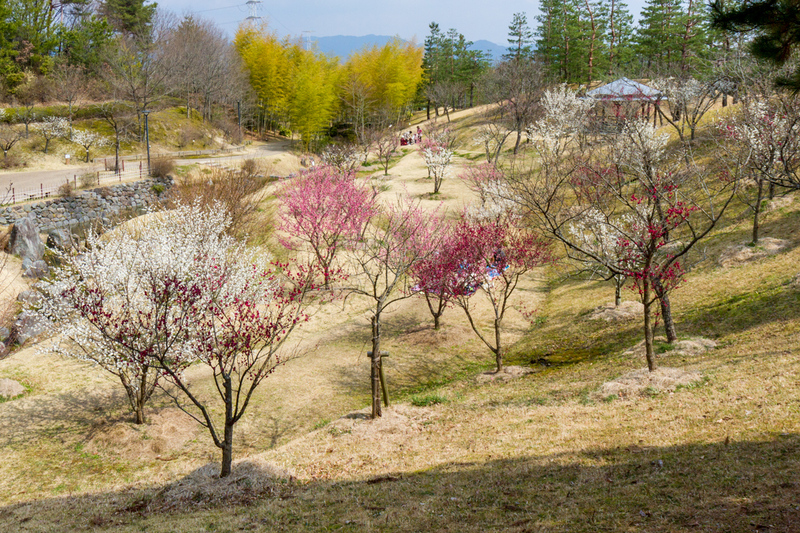 Taniai (Valley) is an area representing the atmosphere of Satoyama. 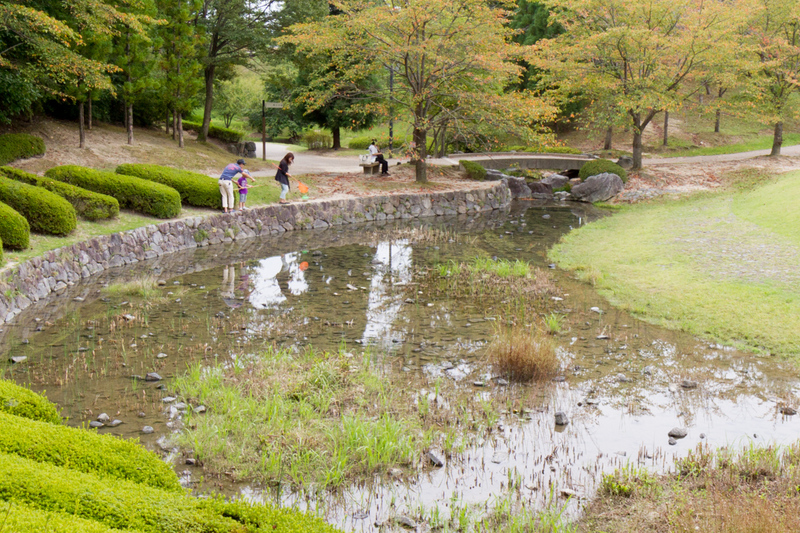 With the typical Japanese original landscapes such as a small stream, a bamboo grove and a plume garden, it attracts many visitors providing a zone of relaxation and comfort. 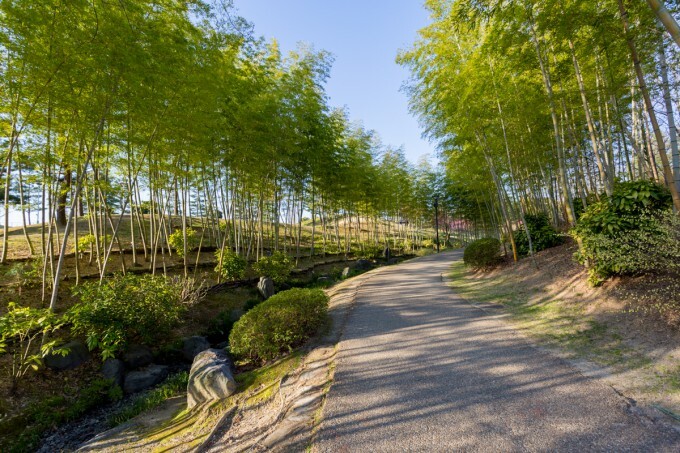 A stream and a garden path run through the bamboo grove. 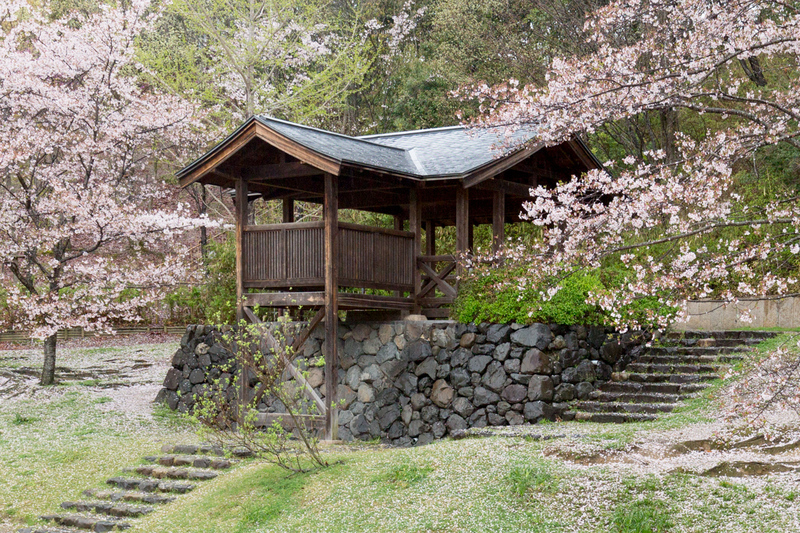 Visitors can feel relaxed in the atmosphere created by the bamboo trees, the sound of the rustling leaves, and the trickling stream. 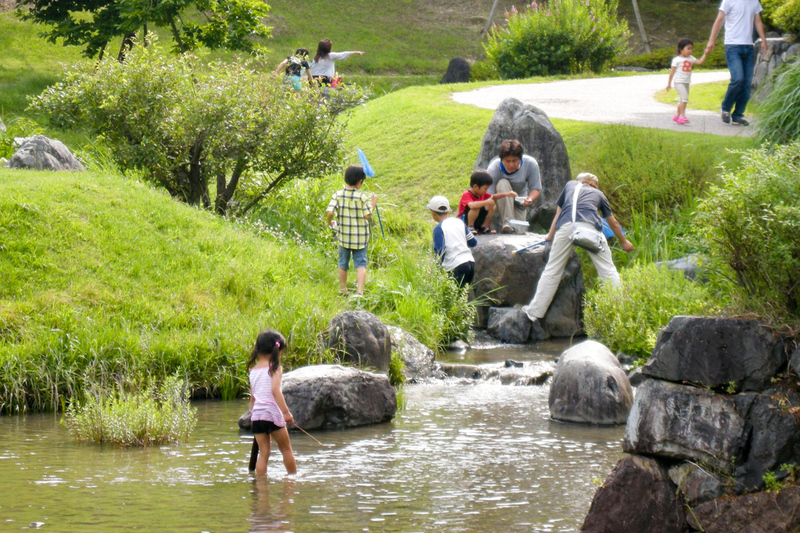 In the small stream running from Hiroba (Open Space), visitors can enjoy various activities such as catching killifish and crayfish with the soothing sound of water or the songs of frogs in the background. In addition to about 50 plum trees, peach trees and persimmon trees are planted in this garden. A nostalgic Japanese landscape is outspread before the visitors’ eyes.